Day 15: Where Will I Be in 5 Years? 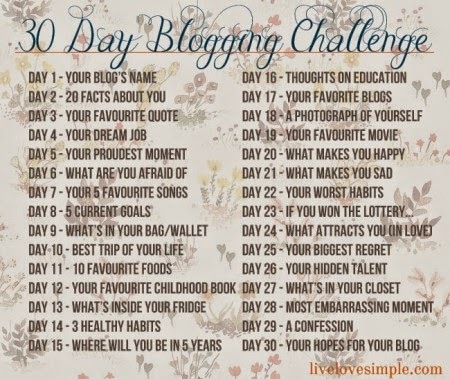 DAY 15: WHERE WILL YOU BE IN 5 YEARS? Working my dream job, living with my family and of course, Pippo. Maybe with a wealth of books to my name. A couple of best sellers wouldn't hurt. Being in touch with my best friends. Being able to sew almost anything. A much better baker and cook. Forget five year, I have no plan for tomorrow.